I believe the most important thing leaders can do to build a positive culture is to help people realize a higher purpose through their work. I’ve found that company cultures that offer employees a strong sense of purpose and ownership are rare and can’t be built overnight. T o win the year, you have to win the day, so it’s worth laying the bricks of a strong foundation. When I became CEO and president of a mobile car repair company in late 2016, my first goal was to apply an inverted pyramidal structure to the organization that embraced an employee- and customer-centric culture of empowerment, transparency and agility. I modeled the culture that I was working to instill, which is internally collaborative and externally competitive. I’m a highly competitive person. I want us to win, and I want everyone who is part of my team to participate in the process and to celebrate that success. I worked to ensure that the senior leadership team took a similar approach, and within a few years, our metrics told the story of a thriving company culture, both internally and in our customer approach. 1. Start by asking simple questions. Every employee should be on the same page when it comes to the vision of the company, as well as how their particular job fits into that vision. The whole team should be able to answer “Where are we trying to go?” When I started at my company, I did one-on-one interviews with each employee. One of the things I often heard was that people didn’t understand how their job tied to what the company was trying to achieve. Many of them even thought they didn’t have realistic objectives. So, I started asking team members what they thought should change and how they would propose to solve the problems they were seeing — and it made a difference. Give your employees the space to express their observations, and then ask them to create solutions. In my experience, this can often lead to greater transparency, trust and self-determination that creates a sense of ownership in their roles. 2. Be transparent about how success is measured. It’s key that your team understands how their success is being measured and what role they play in the overall success of the company. Make it clear what the vision is and what team members are responsible for, and enable them to achieve their goals. Early in my career, I learned an approach (that I still use today) to measuring success called OGSM: objectives, goals, strategies and measures. It’s a concise method to track success because it enables employees to course correct as needed. In my experience, it also elevates their game. Those who have played any kind of sport in their life likely know that a good coach pushes them beyond the point they thought was possible; I believe a good leader does that, too. In order to foster consistency and transparency at my company, we started holding stand-up meetings every Monday morning in front of the company. We discuss what everyone is doing and our company objectives for the next week, month and quarter. Sometimes I point out areas for improvement, often by pointing the finger at myself before any particular department because I believe that culture starts at the head. Every month, however, we celebrate someone who’s done an outstanding job with an award of recognition for staying focused on getting important jobs done on time and within budget. Encourage your team members at every level of the organization to create a culture that celebrates internal wins. Give each person in your company an opportunity to act and feel like an owner of business outcomes. 4. Cultivate and model emotional intelligence. One of the most important lessons I’ve learned throughout my career as a leader is the ability to manage your emotions. I’ve observed a growing number of people in business who value someone’s “emotional quotient,” or EQ, as highly as IQ. Having a strong EQ requires mastery over your own feelings, but not everyone can keep their emotions in check. So, when you or a team member feels stressed, anxious or angry, don’t look to project those feelings onto someone else. I’ve found a helpful solution is to learn to sit in your own feelings for a few minutes to help calm yourself. Doing so allows me to be a much more effective, happy person. 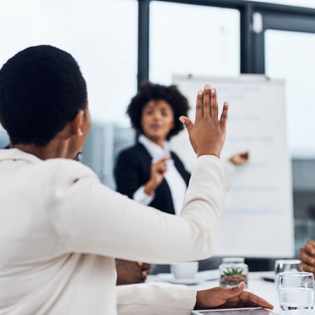 And I believe if you can encourage your team to do that as well, your company can become a more productive organization because people are taking ownership of their impact on others and the business. From my experience, with the foundations of a winning culture in place, leaders will find that their employees are happier, more productive and invested in their roles. At my company, we noted marked progress in every aspect of the company, including quarterly growth metrics, employee engagement and day-to-day tasks. I believe that to win the year, you have to win the day. So strive to empower your team, and help them do their best every day.